The Labour Party’s latest attempts at quelling accusations of anti-Semitism have done little to put the allegations to rest. If anything, Labour Party’s response this past week to the party’s recent exodus of members of Parliament (MPs), as well as leaked material from the past year, suggest the party’s leadership has little genuine desire to address the issue and that, more darkly, the accusations are likely true. Neither situation bodes well for the party. Following his comments, Williamson was swiftly suspended by the party, only to re-emerge on another leaked recording, this time from a meeting last year of Labour supporters backing Marc Wadwsorth. The leaked meeting, termed Justice4Marc, was in response to Wadworth’s expulsion from the party after he heckled a Jewish MP at the launching of the party’s report on anti-Semitism, accusing her of conspiring with the right-wing media to criticize Corbyn. Wadworth insisted he did not know the MP was Jewish. 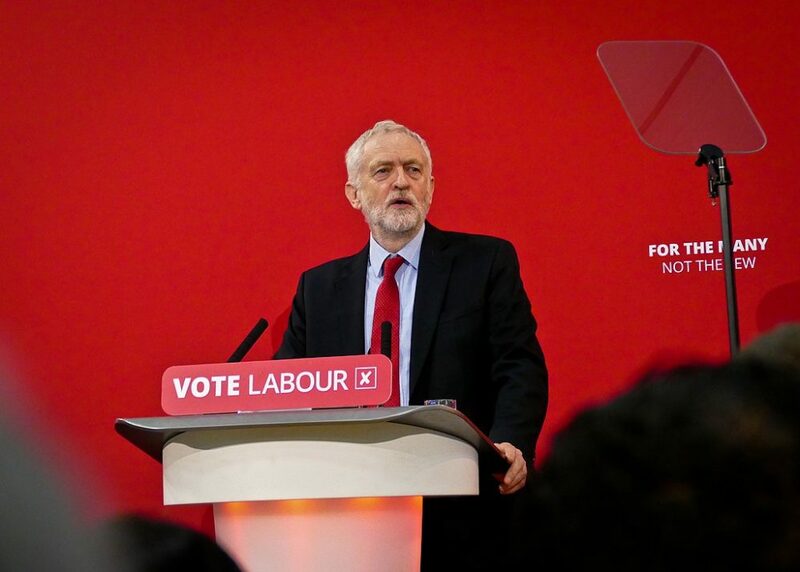 Even giving him the greatest benefit of the doubt, his heckling at such an event suggests that the party’s members have historically failed to treat the issue of anti-Semitism seriously and possibly see such attacks as merely a right-wing conspiracy, a tack that fails to acknowledge the party’s lengthy history of anti-Semitism under Corbyn. Another controversial figure, Jewish Labour Councilor Jo Bird, made a series of outrageous comments at the same Justice4Marc meeting. She commended now-disgraced mayor of London Ken Livingstone as having “[done] good in many, many ways” (Livingstone resigned from the party under the weight of anti-Semitic accusations). She also called for a “pause” in disciplinary hearings addressing anti-Semitism within the party, “until a due process has been established.” To loud claps, she then followed up with, “It’s what I call a Jew process.” Laughter can be heard erupting in the background. Her most grotesque contribution to the meeting was delivering a warped version of the famous Holocaust-inspired poem written by German Lutheran Pastor Martin Niemoller, where she replaced the famous line, “First they came for the Jews” with “Then they came for the anti-Zionists.” She ended with another modified line: “They came for the socialists, but they couldn’t get us because we were having a party, the Labour Party.” Resounding applause and laughter followed. To many within the Labour Party, anti-Semitism has become a twisted joke useful for scoring depraved political points with those who feel Corbyn is a perpetual victim. To cap off Labour’s appalling week of crisis management, the daughter of Corbyn ally Laura Murray has been moved to Labour’s independent complaints unit, the party’s main arm for handling claims of anti-Semitism. Leaked emails have shown that Murray, as a Corbyn staffer, had wanted to stop the suspension of a Labour member who had defended an anti-Semitic mural of Jewish bankers, which Murray herself had referred to as “great.” Unsurprisingly, this is the same mural whose artist Corbyn had defended back in 2012. Murray is currently being sued for libel by one of the most vocal critics of anti-Semitism in the Labour Party, TV personality Rachel Riley. Murray alleged that Riley tweeted that “Corbyn deserved to be violently attacked because he is a Nazi,” when in reality, Riley had replied “good advice” beneath a tweet suggesting not to be a Nazi if you don’t want to be egged (Corbyn had been egged by a protester). In other words, the woman Corbyn has assigned to process anti-Semitic complaints in the Labour Party is busy smearing those bringing attention to Labour’s anti-Semitism. It’s a recipe for abject failure. The fact that Murray has been tasked with expediting claims of anti-Semitism within the party is farcical and indicates the larger lack of seriousness with the Labour Party’s treatment of accusations of anti-Semitism. What perhaps is the most troubling revelation of the past week is that even those who are suspended or witness a colleague’s suspension seem peculiarly unfazed by such censure. Indeed, if Williamson, Bird, or Murray’s commentary are any indication, anti-Semitism accusations are regarded as a joke—a right-wing conspiracy to attack Corbyn, whose response to the accusations has been less than lackluster. Such shamelessness indicates that the current mechanisms in place for addressing anti-Semitism within the UK Labour Party are an abysmal failure. Given Corbyn’s own history of anti-Semitism, his passivity about reprimanding his party members is hardly surprising. His leadership has created a culture of acceptance of anti-Semitism within even the most upper echelons of the party. In such a situation, it is not a matter of developing an improved protocol—it is about locating a better leader. For the Labour Party, the rot is coming from above. Corbyn has been credited with the party’s recent accelerated rise, but he may eventually be accountable for its collapse, too.